You know I’m all about fresh and simple, right? If you’ve got some tomatoes and basil in your garden this is the perfect way to use them up in a dish that takes… 15 minutes! 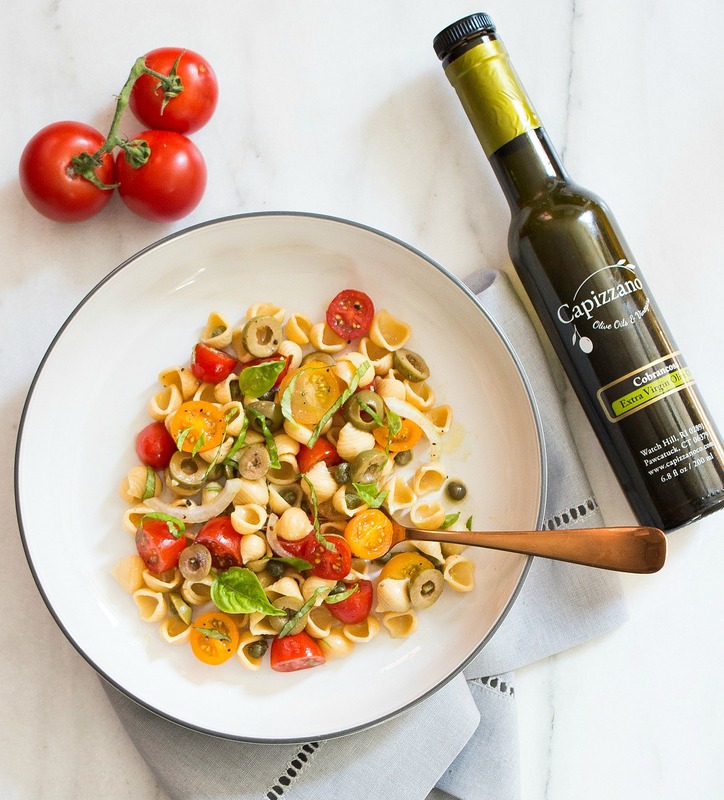 Simply combine all ingredients (except pasta) and let marinate while you cook the pasta al dente. Drain and rinse pasta and toss to with marinade. 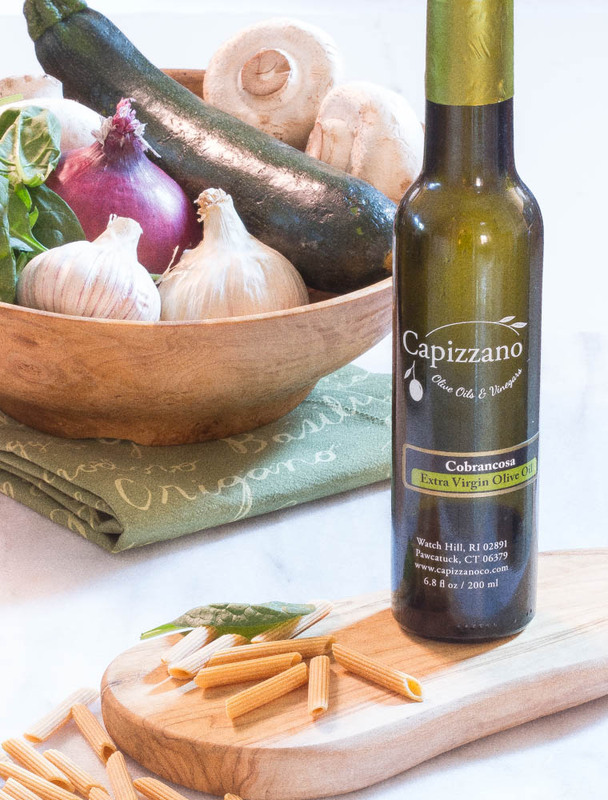 Delicious recipes, exceptional ingredients and exciting giveaways featuring Vitamix, Chickapea Pasta, Uncle Steve’s Italian Sauces, Dotti’s Pottery, and Capizzano Olive Oils & Vinegars.